Old Saybrook bed and breakfast travel guide for romantic, historic and adventure b&b's. 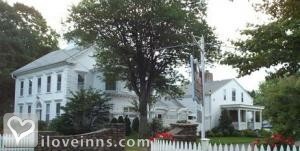 Browse through the iLoveInns.com database of Old Saybrook, Connecticut bed and breakfasts and country inns to find detailed listings that include room rates, special deals and area activities. You can click on the 'check rates and availability' button to contact the innkeeper. Beautifully situated, where the Connecticut River meets the sea, Old Saybrook is a charming and historic town with a rich seafaring tradition. Enjoy its picturesque gas-lit Main Street with quaint shops & cafes, many scenic beaches, coastline drives, pretty coves, the mouth of the CT River, and two lighthouses! Take a stroll at Saybrook Point and Fort Saybrook Monument Park or tour the General William Hart House Museum where you can learn about Old Saybrook's history. There's a few interesting books to check out - one with historic postcards and The Remarkable Women of Old Saybrook and Old Saybrook, Cradle of Connecticut Colonization that will put you in awe of the town and its historic significance. By The Deacon.